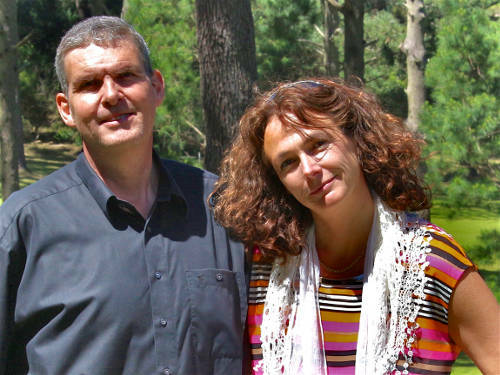 We are Martina and Michael van Bevern, born in 1969 and 1960, respectively. After many years of successful professional careers in Germany, followed by numerous personal and business ventures in South America between 2001 and 2006, we decided we wanted to live in Uruguay, and we have made it our permanent home since 2006. In 2008 we established our own company, Van Bevern Propiedades, registered with the Ministry of Tourism of Uruguay. We have become very well established as real estate agents, geared primarily to potential buyers from around the world, thanks to the professional knowledge we have accumulated throughout many years of experience. We can say this with a certain degree of pride, but above all, with a huge amount of gratitude to our clients. When buying real estate, trust is key issue, and that’s especially true when buying real estate abroad. Language barriers, a lack of knowledge about local laws and regulations, and sometimes the concern – not entirely unjustified – that you will have to pay more because you are a foreigner, are unquestionable obstacles. It is well known that there are often those who take advantage of the inexperience and lack of knowledge of potential buyers. That is why mutual trust, the basis for any sound business relationship, is naturally our top priority. We are extremely knowledgeable about the conditions and realities in Uruguay, and will provide you with personalized and comprehensive assistance. Of course, we don’t know everything and we can’t do everything, either, which is why we work in conjunction with a network of reliable and serious professionals, such as respected notaries, tax advisors, architects and official translators. During the purchasing process, both we and our partners place special emphasis on ensuring that all of the documents related to the property and its construction are fully up-to-date. This means that with us, you save time and money that would be required if corrections need to be made later when you want to sell your property. You will be fully protected from any unpleasant surprises in the future. We believe that one of the foundations of a good business relationship is knowing who you are dealing with. Unfortunately, this is not always obvious. Often, on the websites of apparently serious real estate sellers, you will find nothing more than an anonymous contact form, or perhaps a telephone number as well. In our case, you will know exactly who you are dealing with from the very beginning. We are a real estate agency registered in Uruguay (No. 1117). This provides you with additional security. Dishonest business practices are against our principles, and we also cannot allow them, because we would not want to lose our good reputation and our license. With regard to this point, we would like to make a few observations. Among our competitors, there are a few companies that do not have this license, which is mandatory in Uruguay, and as a result, they are working illegally in the real estate market. In some cases, they have been offering their services on the internet for years, and they sometimes claim that they do not charge a commission, but rather leave it up to their “clients” to offer them something as a “courtesy”.  We would like to warn you about these kinds of propositions, and we recommend that, for your own good, before contracting the services of a real estate agent, you should make sure that they are properly licensed by the Ministry of Tourism and Sports of Uruguay. The services of real estate agents in Uruguay can only be trustworthy, legal, and therefore safe, if they are registered. For us, trust is important from the very beginning That’s why you, as a potential buyer, will not be required to sign a brokerage contract with us either before your first visit to a property or at any other time. We do not charge for visits to properties or for advice. With us, you can rest assured that all contracts will be drawn up to your entire satisfaction and will always provide you with the utmost security. If you want or need to, you can receive a translated copy. We guarantee you that with us, there will be no hidden surcharges, and you will not pay any more than a local resident. Not only do we personally accompany you from your first visit until you officially take possession of your property, we also go much further. Our assistance doesn’t end with the signing of the sales contract. Post-sales service is very important to us. We accompany and assist our clients with a wide range of paperwork, from mandatory registration with the different public service agencies, to even helping you enroll your children in school. Read what our clients say about us, and trust in our experience!